Regularly working with leading design agencies on portrait-led concept, photographer Ivan Jones' most recent exhibition has captured portraits of leading female architects from around Europe. The exhibition, entitled Architects: Portraits by Ivan Jones, will be displayed at Jerwood Gallery in the New Year as the first stop on its national tour. The Architects: Portraits by Ivan Jones national tour has been arranged to commemorate the centenary of female suffrage in the UK – February 6th 2018 marks one hundred years since the Royal Assent for Universal Suffrage was granted, giving women voting rights. “We wanted to highlight how women play an important role in shaping the environment in which we live, work, play and even rest after death,” explains Jerwood Gallery Curator, Victoria Howarth. As the first venue for the national tour, Jerwood Gallery is uniquely appropriate to launch the exhibition; its designer is one of the subjects that has been captured by Ivan Jones – Hana Loftus of HAT Projects. 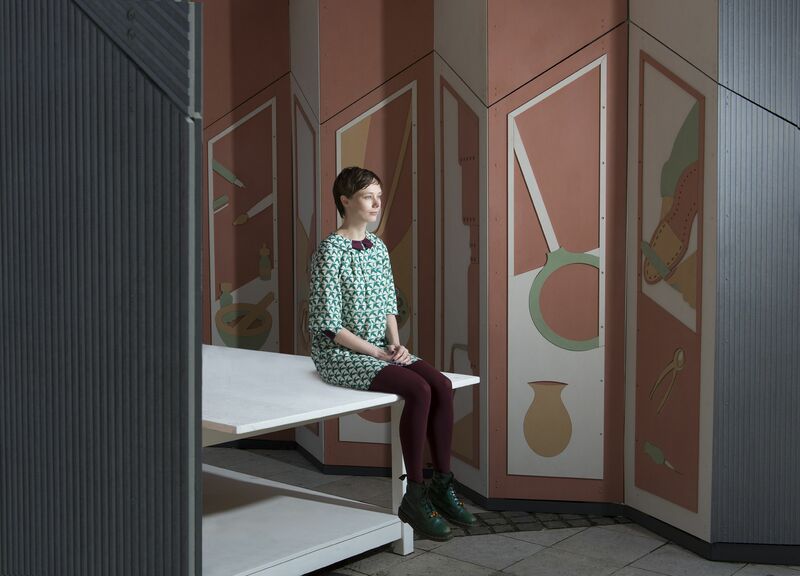 The Colchester practice was responsible for designing and building Jerwood Gallery in 2012; Loftus’ portrait is set against a background of vertical stripes in the Jerwood Gallery courtyard, cleverly capturing her understanding of ‘line’. Each of the architects that Jones has captured have been photographed within a building that they have been essential part of creating. Each of the colourful images sets these pioneering women architects among the physical environments and materials that form the public face of their work.